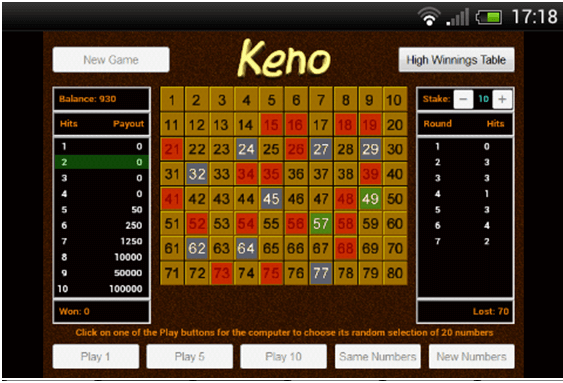 Keno players can even enjoy Keno games all free with their smartphone and mobiles thanks to the apps store that offers free Keno games apps. You can download these apps from Google play store or from iTunes store according to the mobile you own. 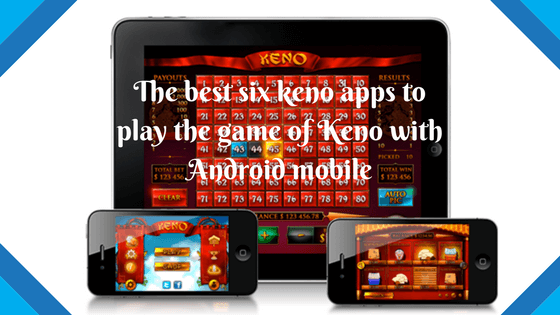 Here find the best six Keno apps to play the game of Keno with your Android mobile. Note that though these games apps are free for you but they do offer in app purchases in case you wish to buy more coins, credits or keno products to play more of Keno games. 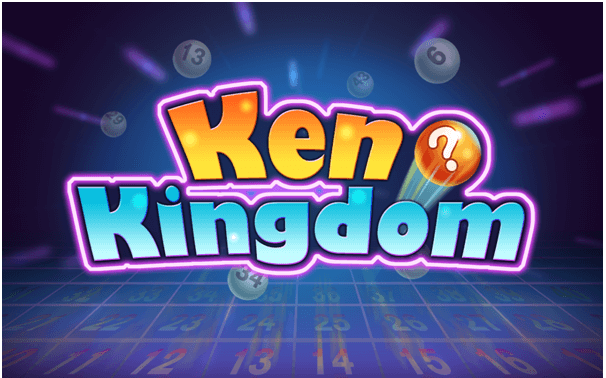 In video keno kingdom game app you can enjoy Las Vegas Style Keno with eight different Keno themes. Also offered are free keno tips so that you can play with real AU$ in future at online casinos and select the right numbers with the quick pick option available. Also you can compare your scores with other live players. Download this game now all free from Google play store and requires 2.2 and up compatible Android phone. This is Keno free game that offer free to play with lots of bonuses and coins. You can even play offline with this app and do not need any internet connection. Here you also have generous payouts and get free coins to play every four hours. Play classic keno or keno with a twist and have fun at Keno rooms enjoying more mini games. You only need to pick 1 to 20 numbers out of 80 numbers and see how many you match in this game. Also you can use lucky red powerballs at the board to increase your chance of winning. Go to Google Play Store and download this game free and the Android compatibility varies with device. 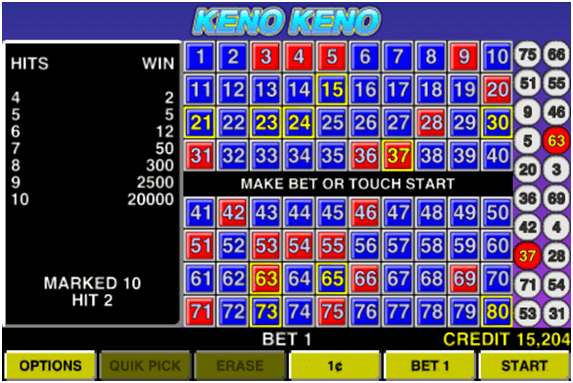 With Keno Keno app you can play the classic game of Keno all in Las Vegas style. All you need is to bet from 2 to 10 on each card and use Quick Pick option to quickly pick your numbers. Also you can save your picks between games and saves your credits between games. Download the app free from Google Play store and requires 2.3 and up Android device. 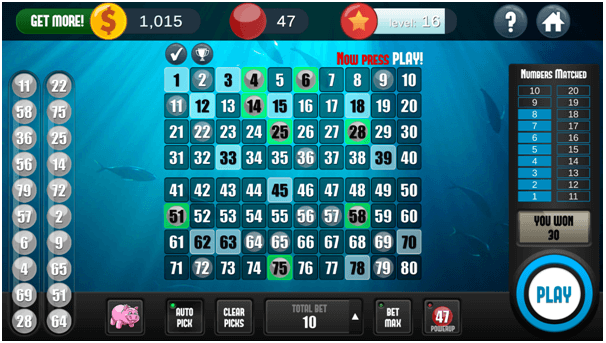 Keno app is like a lottery game where you choose between 3 and 10 numbers from the 80 displayed on the main grid. The computer then chooses 20 random numbers and if they match any of your numbers then you win the points shown in the “Payout” box. By default the amount of points you can bet or stake for each go is 1 unit but you can alter that to any amount up to 10. Instructions on how to play the game are shown onscreen. You can download this game app from Google play and requires 2.3 and up compatible Android phones. Tabcorp Keno App is the best app to play keno game. 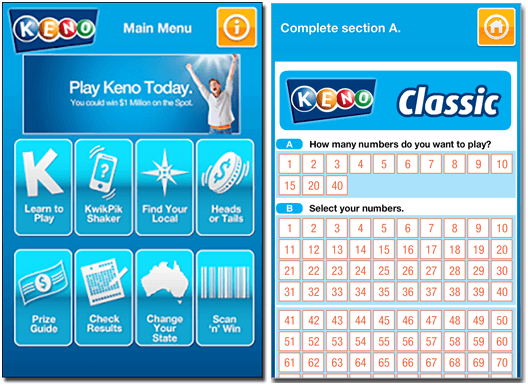 This keno app is compatible with Android phones and is basically your own personal keno screen mimicking those keno screens at pubs and clubs provided you are located in NSW and Vic. Additionally, you can learn to play with both the classic version and the heads and tails version available, featuring a virtual form available to fill out so you are learning how to play at a land-based venue rather than how to play the online variants. 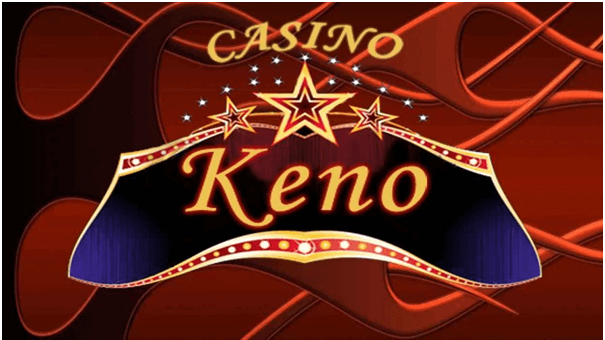 Casino Keno is another great Keno app which has been best designed for adaptive betting and is rich in animations and music to keep you entertained. You can challenge your Facebook friends and poke them boosting of your high wins in keno. Upload your scores and photos on the leaderboard and you can publish your virtual money on Facebook and twitter with a tap or evenbBet your friends on Openfeint and upload your scores. Download the app all free from Google Play and you need 1.6 and up Android compatible device. Now choose the app you wish to download and play some free keno. Remember except for the Tapcorp app, the rest do not offer real money Keno and your wins will be virtual credits only.